For three decades, David Wright has coached international swimmers who began their swimming careers in his Learn to Swim program, and this book is based on his experience guiding these swimmers from learners to international athletes. Wright saw many pitfalls that resulted in the sport losing 80% of its participants in their early teenage years—pitfalls that resulted in swimmers ending their careers broken and disillusioned. 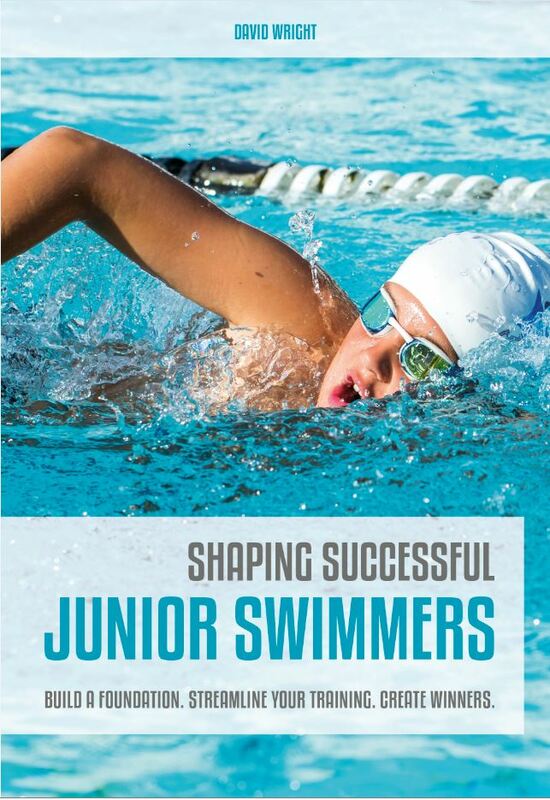 Shaping Successful Junior Swimmers examines the nature of the sport’s early dropout rate and proposes steps to correct the problem. SKU: ZM51409. Categories: Swimming, Sports & Recreation. Tags: junior swimmers, sport, success, swimmers, Swimming. Build a foundation, streamline your training, and create winners with Shaping Successful Junior Swimmers. For three decades, David Wright has coached international swimmers who began their swimming careers in his Learn to Swim program, and this book is based on his experience guiding these swimmers from learners to international athletes. Wright saw many pitfalls that resulted in the sport losing 80% of its participants in their early teenage years—pitfalls that resulted in swimmers ending their careers broken and disillusioned. Shaping Successful Junior Swimmers examines the nature of the sport’s early dropout rate and proposes steps to correct the problem. It discusses, in particular, qualities that should be present in good conditioning and speed training programs as well as why these qualities encourage continued participation and championship performance. Also included are danger signs of poor programs that cause early dropout. In addition to important training factors are the decisions and behavior outside the pool that coaches, parents, administrators, and national federations can make and do to extend and improve every swimmer’s involvement in the sport. Swimming champions are the product of good care in and out of the pool, and using this book provides the means for that good care. David Wright is a New Zealander living in Auckland, New Zealand. He has been a coach for 30 years and is an International Level Five American Swim Coaches Association certified coach. He has coached national representatives in New Zealand, the United Kingdom, the United States, the US Virgin Islands, and Saudi Arabia. His athletes have competed in the Olympic Games, World Championships, Commonwealth Games, Pan Pacific Games, Oceania Championships, Caribbean Championships, and the Gulf Countries Championships and have won 10 medals in those events. His swimmers have won 81 national championships, have broken two master’s world records, and set 73 national records. In 2007 David was awarded the US Swim Coaches Association Certificate of Excellence. Jack Grout: A Legacy in Golf tells the remarkable story of a middle-class Oklahoman who discovered golf at the age of eight, was teaching it to others by age fifteen, and who would travel the ragtag early PGA Tour in drafty automobiles with men who became legends of the game: Ben Hogan, Byron Nelson, Sam Snead, Gene Sarazen and many others. Those tough days on the Tour led Jack Grout to a series of club-professional jobs, and eventually, into the orbit of a husky ten-year old redhead named Jackie Nicklaus the youngster who, under Grout’s tutelage for thirty-nine years, became golf’s greatest champion, the mighty Golden Bear.